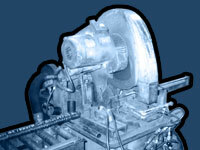 Contact Chantelau for your machining and saw cutting projects. We'll be happy to respond to your phone request, or contact us via our online request form. Chantelau, Inc. uses standard packaging (4,000 lb max. bundles or skids). Site designed by Sharp Innovations, Inc.